Current Ionia County map showing Township progression as they were officiated. In the book, History of Ionia County Michigan by Rev. E. Branch, the townships listed are in alphabetical order. I put them in chronological order to show progression over time. 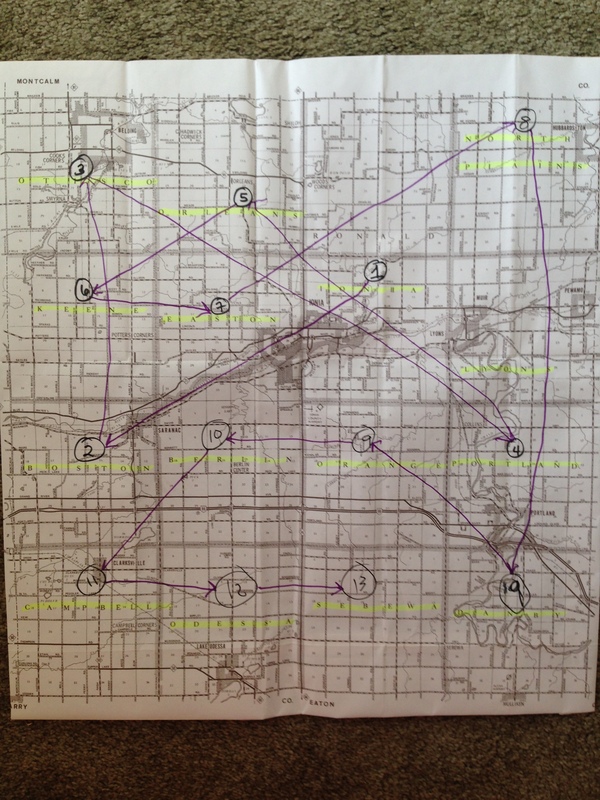 I used a map, free, from the Belding library and drew the order on it to show the progress of the townships. This information will be referenced later when connections are made getting to know the founders of these areas. Branch, Rev. E., History of Ionia County. University of Michigan, 1916, pp 16-20.